I look forward to watching this transformation from the comfort of my Mercedes sedan... today, from the driver's seat; a few years from now as a passenger; and a few years later as a passenger in some service provider's Mercedes. Perhaps the biggest upcoming robotics-driven economic and social change will be the arrival of fully autonomous (self-driving) vehicles. Imagine a world full of self driving cars, planes and boats. The benefits range from life-saving and cost reduction to greater mobility options for people of all ages. 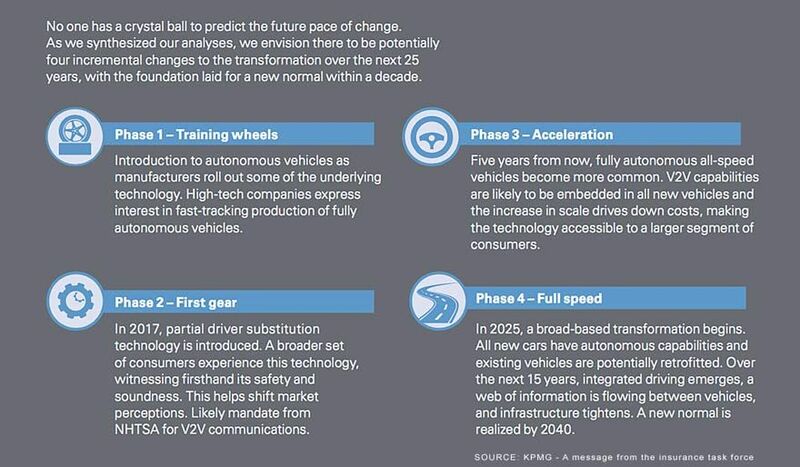 Billions are currently being invested into making autonomous cars and planes a reality in the very near future. Traditional car companies such as BMW, General Motors and Toyota and new entrants like Tesla, Google and Apple are vying to be the among the first to introduce fully autonomous vehicles to our roads. 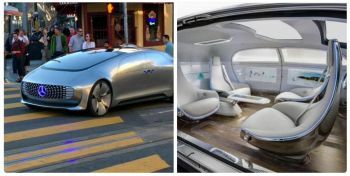 At CES, the big global technology show held earlier this month in Las Vegas, most of the car companies and their major suppliers from around the world either had booths or meeting rooms to show off their concepts for the future and projects and products from now until then. This Mercedes concept sedan - which drove autonomously around the Las Vegas Strip and on the CES stage - was the hit of the show. Some of the biggest thought leaders around the world have worked on timetables for all this change. 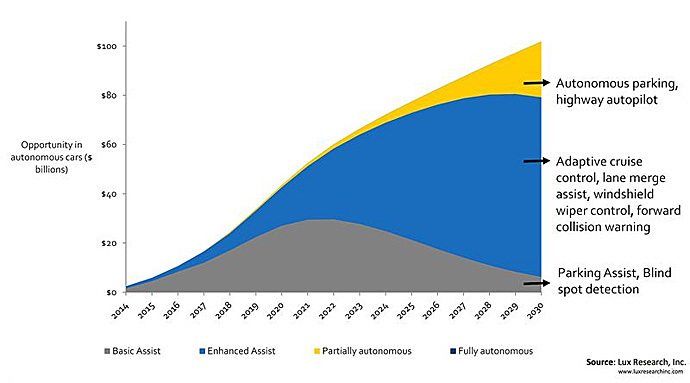 The KPMG projection shown above and this chart from Lux Research mostly reflect their consensus outlook that it will be an incremental series of changes leading from basic safety and assistance to partially autonomous, to segments becoming fully autonomous (such as city taxis and delivery vehicles and planes), to a time (2030 to 2040) where all new vehicles will have autonomous capabilities. Along the way many new issues will become important: whether vehicle ownership is viable or not; will AI emergency driving choices be ethically correct; will there still be a need for vehicle insurance; etc. Already robo-ethicists have begun to bring these items up for discussion. Personally, I look forward to watching this transformation from the comfort of my Mercedes sedan... today, from the driver's seat; a few years from now as a passenger; and a few years later as a passenger in some service provider's Mercedes.